The Ballston Business Improvement District announced the swap today (Thursday), sketching out plans for a similar spring festival geared around Ballston Quarter, the newly revamped Ballston Common mall. QuarterFest is slated to be held on May 18-19, 2019, and will be managed by “BallstonGives,” the BID’s charitable arm. 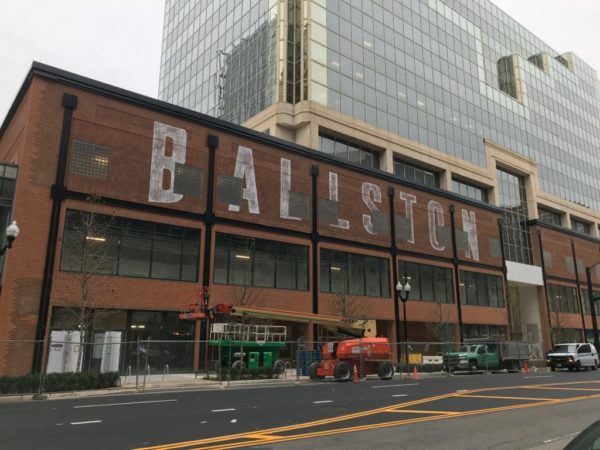 Though the event will be more focused on Ballston Quarter, it will still be held in the same general area as Taste of Arlington, largely centered on Wilson Blvd near the mall. BID CEO Tina Leone told ARLnow that her group decided to make the switch because “we really accomplished what we wanted to do” with Taste of Arlington over the years. By the time QuarterFest rolls around, Leone expects that the new development will be about “80 percent open.” Shops and restaurants in the overhauled mall have been slowly opening for business over the course of the last month, and Leone believes a “big bunch” are hoping to open up by early January or February. So while she hopes the new event is “the same amount of fun with the same amount of activity,” she also believes it will mark a new chapter in the county’s evolution.